You own and operate semi trucks because they’re tough and reliable. Every owner knows these trucks need regular maintenance but they typically stop at the transmission and motor. To stay competitive and protect your vehicles you need Patrick’s Mobile truck differential repair services. If you are experiencing differential noise you should immediately seek out a professional diagnosis. The distinctive “roaring sound” from the rear of the truck means that it might be too late and a rear differential fix is now in your future. Just give us a call and we’ll dispatch a differential mechanic to your location. 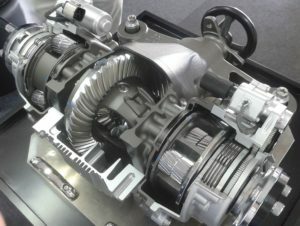 So what exactly does a truck’s rear differential do? 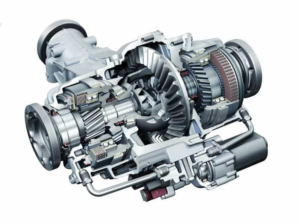 Your truck’s driveshaft connects the rear differential mechanism into the transmission or transfer structure that shifts your engine’s power at the rear wheels. This aids the primary power source for your truck or any engine powered wheeled vehicle turning longitudinal power to rotational motion. It all happens as gears inside your differential distribute power along axle shafts to rotate the wheels on your rig. We pride ourselves on quickly dispatching a diesel mechanic to your location and diagnosing differential parts issues immediately. This saves you money by reducing downtime and getting to the bottom of your truck’s problems efficiently. 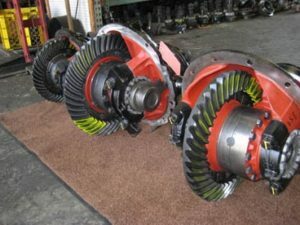 We quickly decide if your semi truck differential is in need of a replacement or rebuild or if it’s something that can be done in a matter of minutes! For example, your truck’s differential system is soaked in gear oil to lubricate and cool the structure and its bearings but we frequently see the lubricant dry up with heavy use. In this case, mobile differential fluid replacement can be an affordable fix which improves truck noise and serves as long-term preventative maintenance. Don’t neglect your semi truck differential during regular maintenance. We offer 24/7 Roadside Truck Differential Repair. Book Your Truck Differential Repair Today!